Standards that won't be comprised and strength that can't be beat. Makers of scopes, rings and bases, mounts and tactical hardware. 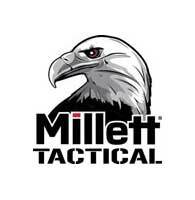 For more information about Millets's products visit http://www.millettsights.com. Millett's Brand Materials will be available soon.